We keep hearing things about the 802.11 standard. Lots of things! And for a good reason, that is. Because even though this Wi-Fi standard was launched in 1999, it keeps getting new exciting features, which help our wireless networks work faster, send and receive data using several streams at the same time, and so on. The first version of the standard allowed Wi-Fi devices to send and receive data with speeds that were barely reaching 10 Mbit/s. Today, the newest version of the protocol (ac) is able to stream data simultaneously on eighth channels, which can have a bandwidth of up to 160 MHz, reaching speeds of up to 900 Mbit/s. Take a look at the image above to see the various versions of the 802.11 protocol, along with their main characteristics. It's a bit strange (at least for me) but the "b" and "g" standards continue to be widely used, even though the latter standard was introduced about 15 years ago. Why would people keep using an outdated Wi-Fi standard? Actually, there may be an explanation for this: both 802.11 standards use the freely available 2.4 GHz band. Still, it's a pity that people continue to use "b" and "g", thus limiting the performance of their Wi-Fi networks, because these outdated standards can only support a single data stream. For best results, it is wise to use the "n" and "ac" versions of the 802.11 standard, because they have a larger frequency bandwidth per channel, and can make use of modern technologies such as MIMO (Multiple Input, Multiple Output), which allow multiple devices to get and send data over the Wi-Fi network at the same time. Let's make this very clear: Wi-Fi is known for its poor performance, which starts to degrade as soon as you move 20...30 feet away from the router. And to make things even worse, interference with nearby electronic devices will degrade network performance as well. Fortunately, there are a few effective ways of solving this problem, and most of them don't require expensive equipment. You can enable your router's Quality of Service (QoS) feature, for example. This way, you will be able to limit the data sending and receiving speeds for the devices that aren't a top priority. Keep more bandwidth for you and give less to your kids, for example. Another option is to purchase a MIMO router. Often times, these routers include high gain antennas, which can be oriented towards the areas that could use a Wi-Fi signal strength boost. You could even breathe new life into your old router (and maybe extend its range) by installing an open source router operating system and fitting in a new pair of high quality antennas coupled with extension cables. It's unfortunate, but some router manufacturers are known to fit low quality antennas in their less expensive models. Also, be sure to pick and use a less crowded Wi-Fi channel. 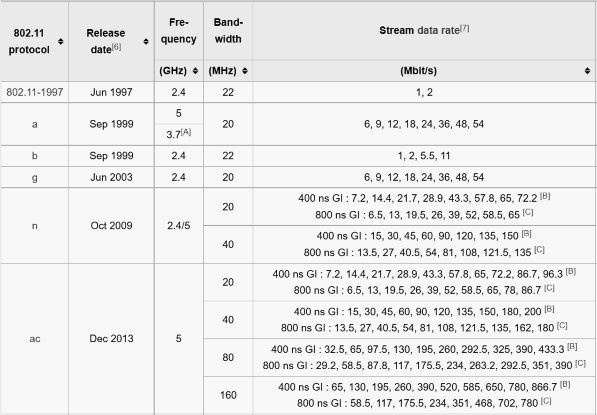 Only channels 1, 6 and 11 are completely isolated from each other in the 2.4 GHz band, for example. Pick and install one of the numerous apps that can detect other Wi-Fi networks in the area, and then use the least crowded channel for your Wi-Fi network. Things change for the better when it comes to the 5 GHz band. This band has a much wider frequency range, and unlike its older sister, it isn't that prone to interference, because most problem devices operate using the same free 2.4 GHz band. As you now know, Wi-Fi performance will vary greatly depending on the protocol version, the quality of the hardware equipment, the distance to the router, the nearby electronic devices, and so on. High throughputs and low latencies can only be achieved under ideal circumstances, so when it comes to performance, wired networks continue to be a strong alternative to Wi-Fi. Let's get this straight from the very beginning: web developers are in great demand. And why shouldn't they be, when more and more applications are moving from their standard, desktop-based environments to software-as-a-service projects? And the pay isn't bad either! The average salary for a standard web developer is about $55,000. Front-end developers earn even more money - up to $70,000, on average. Finally, back-end developers can easily earn an annual salary that reaches $80,000. 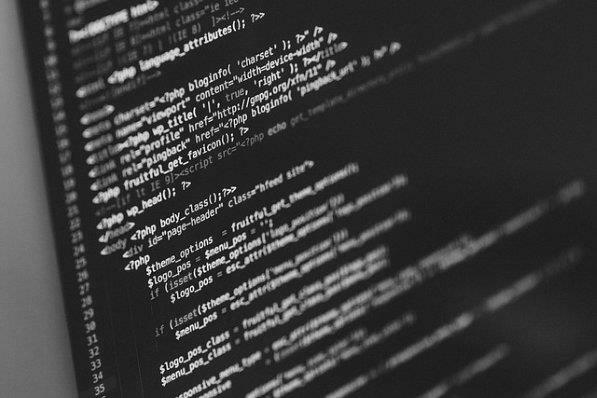 Of course, if you know how to use all the tools and technologies that are needed to write both frontend and backend code, your salary could be even bigger - indeed.com states a salary average of about $100,000 for this kind of job and expertise. So, what web programming languages should you learn to cash these fat checks? Here are the most promising languages that have stood the test of time. Python has earned its right to be included in our list because it is very powerful, and yet really easy to learn. Most people use Python to build web apps, but it can also create flexible desktop apps. This explains why many universities (especially in the US) choose Python to introduce their students to the art of programming. Go is an open source web programming language that was created by Google about a decade ago. It's free, easy to use, fast, and it is supported by one of the world's online giants. What else could you wish for? Ruby is a fantastic framework that can help even beginner programmers build complex web applications - and do it fast! Many software-as-a-service businesses have been built with Ruby - at least, they started that way. One of the social media mammoths - Twitter - uses many Ruby-based components for its code, for example. This means that the apps that have been built using Ruby code must be scalable and run really fast, isn't it? Keeping your job as a newspaper delivery boy may get harder each day, but getting a SQL programming job is easier than ever. Lots of companies are hiring Structured Query Language engineers these days, and the demand is constantly growing. This programming language is used to communicate with databases, retrieving and editing information from them. All WordPress-based websites make heavy usage of SQL queries, for example. If you are looking for a web programming language that's fit for server side apps and isn't that hard to learn, SQL is a wise option for sure.